Pre-season collections are, to paraphrase the old line, like a box of chocolates. 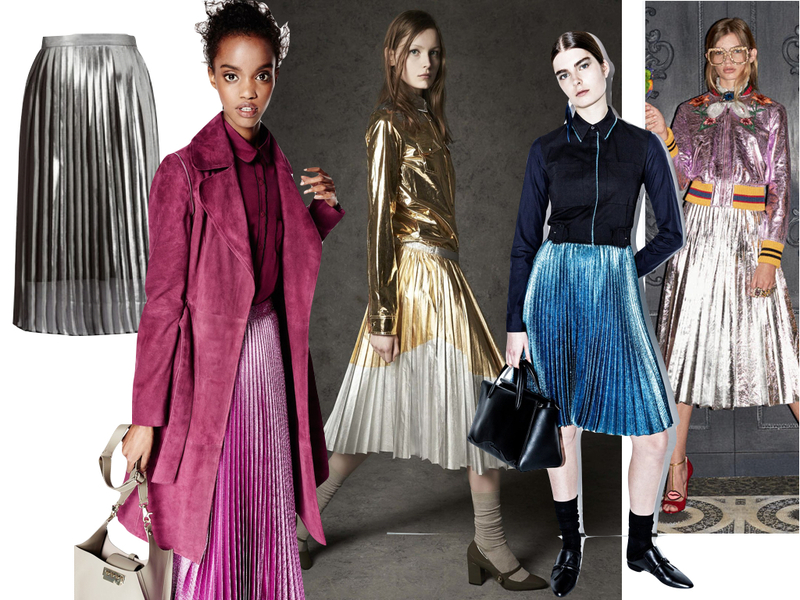 Still between summer and fall showing both fur coats and sheer dresses, sometimes even in the same look. 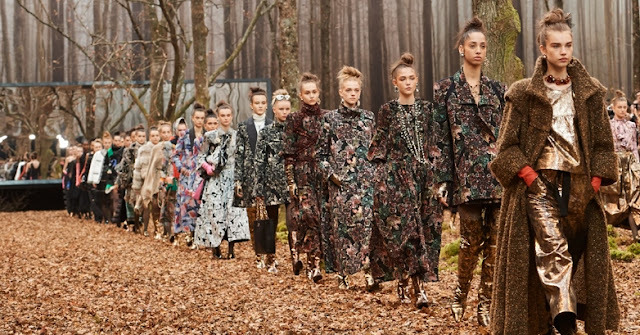 Consensus may be hard to pin down but trends always emerge. 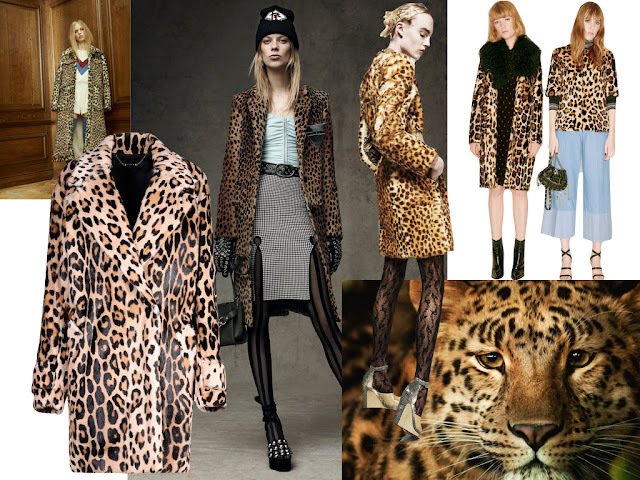 Leopard is never out of style and animal print coat is something we'll be seeing a lot during pre-fall season. Midi seems to be the length of the season and with metallic touch you can consider this skirt as one-step solution for all your party needs. 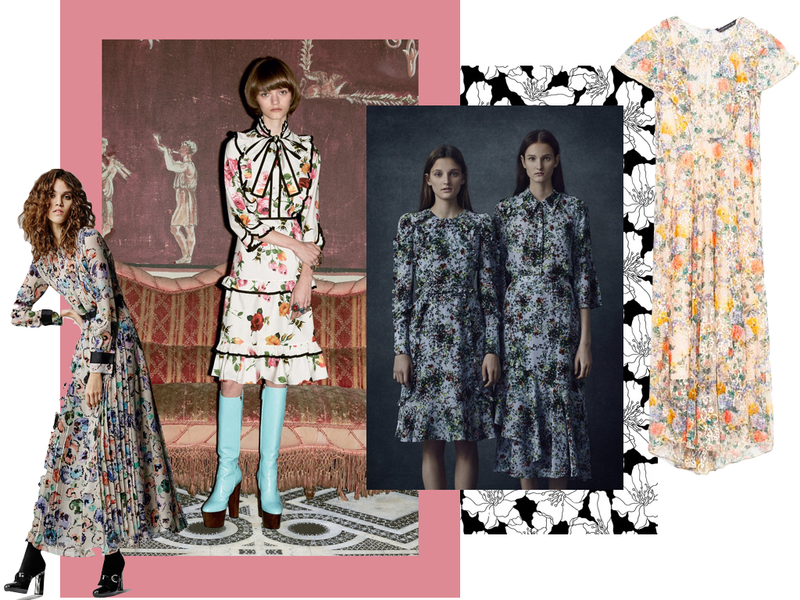 Whether you go for florals, spots or something in between, the season's retro-tinged frocks offer something for every taste. 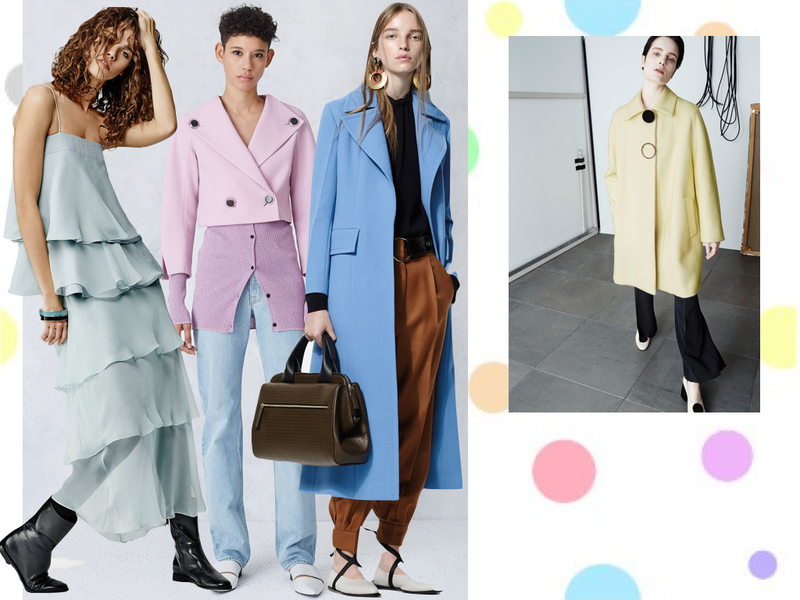 Modern shapes suits or separates on unexpectedly edgy pastel palette look sweet and fresh. 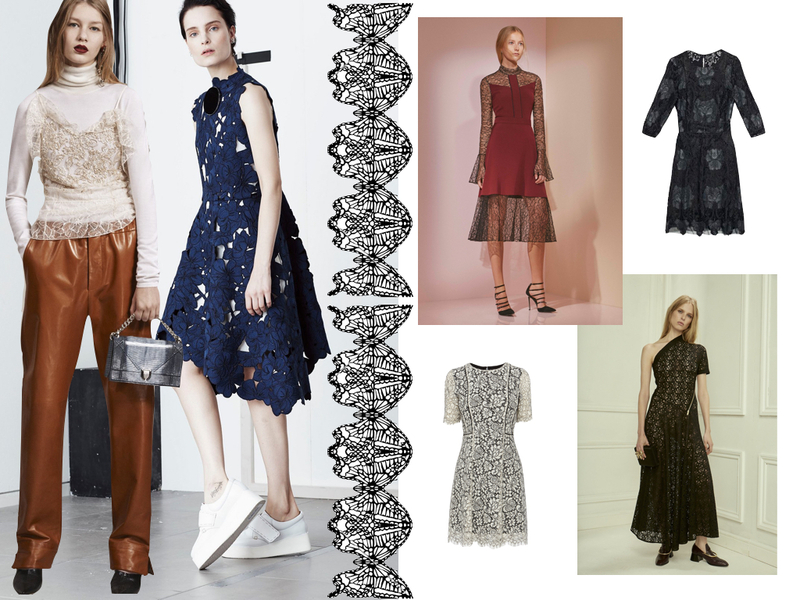 Top designers are reimagining lace in modern way that are quite pretty but not precious. 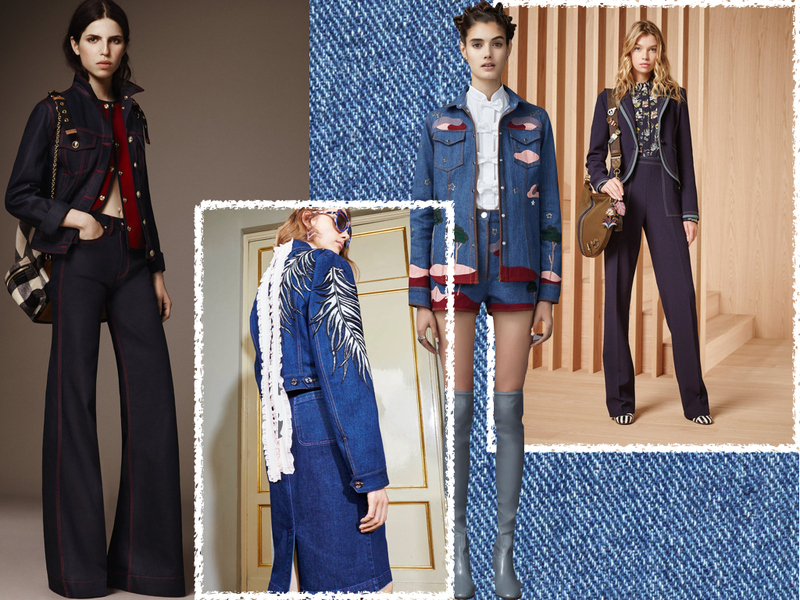 Wear denim from head to toe! 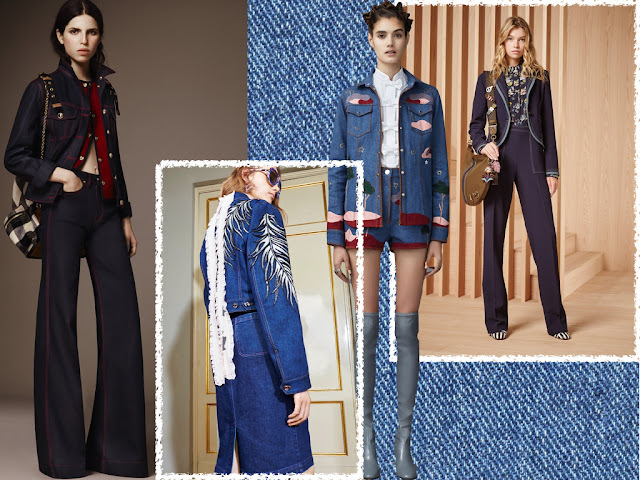 Denim tuxedo is treated with sophistication by way of dark denims and close fits.